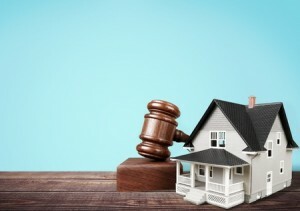 The Benefits of Using Auction Marketing | Wilson Auction & Realty Co, Ltd.
Wilson Auctions in Ohio, Indiana and Michigan often involve the auctioning of real estate. While most people are used to seeing a realtor put a sign up in front of a home and then offering “open houses,” and eventually someone buys the property for its asking price (or a negotiated price), there is an alternative: auction marketing for real estate. This is a viable alternative to the traditional “realtor” way of selling a house. What are some of its benefits? First, using auction marketing to deal with real estate gives the seller a firm date as to when their property will sell. Instead of putting a home on the market and waiting around for a buyer, which could take months, the auction process has a defined time to sell the property. The seller controls the timing and gives the sale a sense of urgency. Wilson Auctions, for example, markets their real estate auctions to interested buyers. They give them the heads-up as to what’s being auctioned when, so potential buyers can plan accordingly. Thanks to having an auction, sellers are likely to see competitive bidding. One person wants it. Another one does, too. They keep outbidding each other as the seller salivates at the thought of making even more money than he or she hoped for! This may not happen every time, but there’s a good chance it will happen much of the time. People like to compete for things and ultimately there’s one winner. Everybody wants to be the winner, right? Finally, property sold via auction typically doesn’t include contingencies. This “sold as is” approach eliminates the complications of financing, repairs, and warranties. Thus, it limits seller liability which is a good thing. Any auction terms and conditions are set by the seller before the auction, so buyers know enough information to decide for themselves whether or not they truly want to bid for/buy the property or not. For more information about using auction marketing to sell property, call Wilson Auctions of Bryan, Ohio, today at 1-866-870-5500.